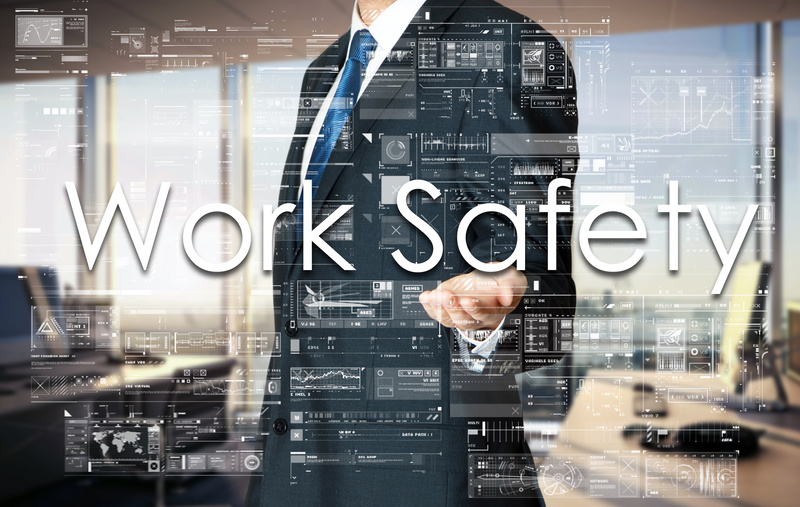 The market for health and safety software has been driven by major business themes over the last 30 years, such as regulatory compliance, corporate reputation protection, accident avoidance, worker well-being, and process standardization. In the past five years, since 2013, the market has been impacted by supply-side factors such as mergers and acquisitions, the birth of the Internet of Things (IoT), and an abundance of investment capital. At present, health and safety software vendors range from 500-employee firms with revenues over $100 million to founder-managed firms with less than $5 million in annual revenues. Given the rapid pace of change in this market, individuals responsible for selecting, implementing and deriving value from health and safety software should first of all get a broad outline of the organizations top level requirements. For example, does the company require an environmental element to their solution for health and safety software? They should also decide whether or not they wish to select niche providers of health and safety compliance management software to address elements such as inspections and audits, and incident management. These two elements can have a high degree of mobility involved. The providers of health and safety software that have the skills to develop, deploy and support Mobile Apps tend to be ones who approach the solution from a mobility perspective rather than those vendors who have come from a client / server background and have simply developed web based versions of their solutions and do not have the skills to deploy mobile Apps as part of a health and safety compliance management software solution. According to the Verdantix annual global survey of 301 EHS decision-makers, 92% stated that the quality of the user interface is either ‘very important’ or ‘important’ when they make a decision regarding which health and safety compliance management software to purchase. The issue of usability has become even more impactful following the mainstreaming of health and safety compliance management software mobile apps for usage scenarios such as audit, incidents and safety observations. An excellent user interface will win a vendor new business and a badly designed user interface will cause another vendor to lose customers when they come to the end of a three- or four-year subscription contract. It is only in the last three years that the pace of innovation and the impact of mobile product strategies has pushed user interface design to the top of the application design priority list. The pace of the health and safety compliance management software market has created a functionality breadth and depth arms race. Management of chemicals compliance is a significant area and customers need to decide if they require these features early in their selection process. Many health and safety compliance management software vendors have partnered with 3E Company to provide chemicals compliance management capabilities as they are seen as highly niche requirements. Other vendors have focused their product investment on stronger risk management tools – pushing their positioning towards customer business functions such as operations and production. North America and Europe are currently the biggest markets for health and safety compliance management software and together account for more than three-quarters of the global market size. But most vendors have at least 75% of their revenues coming from a single region, so this can be a consideration also as customers should choose vendors that can give them the appropriate support in the regions in which they operate. Fortune 500 customers desire to have vendors with multicountry presence, international web hosting, multi-lingual capabilities and a knowledge of regulations around the world. This sometimes previously overlooked dimension of competitive differentiation will negatively impact the market opportunities for vendors with their experts located in a single country or continent. Data Analytics and business intelligence are key requirements that should be included in any company’s request for proposal (RFP) for health and safety compliance management software. The overwhelming majority of EHS software firms will bring up analytics and business intelligence (BI) when talking about future strategy but users should at least expect a simple way to export their EHS data into a corporate BI tool. The preferred solution for Data Analytics for most companies will be that the health and safety compliance management software has the analytics tools in the software. This allows the user to generate insights without needing a BI expert in IT to massage the data. The Data Analytics tools within health and safety compliance management software solutions should allow users to build their own dashboards out of the box or at least with minimal training. There should be no need for the customer to request professional services from the vendors of the health and safety compliance management software to generate data cubes or dashboards. Many RFPs for health and safety compliance management software placed Mobile Apps in the top five items on the customer wish list. The importance of having a mobile-capable enterprise app has continued to grow in strategic importance. Why? Mobile health and safety compliance management software has a number of benefits, including increased employee engagement, more accurate incident information, and improved auditing efficiency. Mobile Apps help drive engagement with safety initiatives from the office of corporate safety compliance managers into the realm of loneworkers, truck drivers, crane operators and construction site supervisors. The prioritizing of mobile by customers poses significant software engineering challenges for those vendors who do not have the expertise or experience in developing and deploying Mobile Apps within their health and safety compliance management software solution. Firstly, many developers with enterprise app experience flunk the usability test when they try and create a Mobile App for non-PC, non-office based users. This results in very low usage stats of the Mobile App. Secondly, vendor CTOs face a big cost increase for mobile. This is the main reason why companies when selecting health and safety compliance management software are now deciding to select a Mobile App solution from one of the mobile centric vendors, as these vendors can meet the challenges of successfully deploying and supporting Mobile Apps in the field and in remote locations.